Jeanne Forsgren Zundel, age 95, of Lisle, Illinois, died peacefully on Wednesday, March 20, 2019 of causes incident to age. Jeanne was born on February 7, 1924 in Brigham City, Utah to Charles Victor and Mabel Jensen Forsgren. Her only sibling, her beloved sister Margaret Forsgren Anderson, completed the family. Jeanne graduated from Box Elder High School and went on to attend Utah State University, graduating in 1946 with a degree in Home Economics. While at Utah State, Jeanne affiliated with Alpha Chi Omega serving as its President, and was the editor of the university’s yearbook, the Buzzer. During high school and continuing through college when she was home for the holidays, Jeanne enjoyed working at Forsgren’s, her father’s ladies ready-to-wear store located on Main Street in Brigham City. Jeanne married Neil Woodrow Zundel on September 21, 1946 in Brigham City, and on June 3, 1948 they were sealed in the Logan Temple of the Church of Jesus Christ of Latter-day Saints. They have three children: Charles Michael (Jill), Mission Viejo, California; Patricia Jeanne Lee (Kenneth), Fairfax, Virginia; and Lisa Elizabeth Anderson (Douglas), Naperville, Illinois. Jeanne’s family was her greatest joy, and she loved and was proud of each one of her children, their spouses, her eleven grandchildren and forty-two great grandchildren, who loved her in return. On the afternoon of their wedding day, Neil and Jeanne boarded a train bound for Princeton, New Jersey so that Neil could play football and complete his college education. Jeanne created a cozy home in Princeton out of three small rooms (none of which was a kitchen). She continued to support Neil in his career by moving house as opportunities arose for him, creating new homes in Salt Lake City, Utah; Azusa, California; Louisville, Kentucky; Richmond, Virginia (twice); Gladwyne, Pennsylvania; and Oak Brook, Illinois. Jeanne lived a life of service. She was active in the Virginia Republican Party hosting events in her home and working at the polls on election day. She was a registered lobbyist to the Virginia General Assembly opposing the passage of the Equal Rights Amendment. She volunteered for the Richmond Symphony, was a member of the Tuckahoe Women’s Club in Richmond, Virginia, and remained active in the Alpha Chi Omega alumnae. 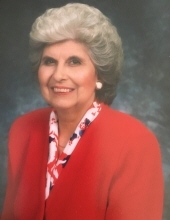 Jeanne was a faithful member of the Church of Jesus Christ of Latter-day Saints, serving as President of the Primary, Mutual Improvement Association, Relief Society, and as Junior Sunday school Coordinator, as well as a counselor and teacher in the auxiliaries of the Church. In Chicago she served on the Public Affairs Committee for the Church. Jeanne also served in the Chicago Illinois Temple. Neil preceded Jeanne in death on March 15, 2014, and Jeanne moved to Lisle, Illinois in September 2015. The family is grateful to Cristina Lacson and others at AMITA Health, Adventist St. Thomas Hospice in Hinsdale, Illinois as well as the staff at Villa St. Benedict, Lisle, Illinois for their care of their mother this past year. They also express appreciation to the Woodridge Ward, Naperville Stake, Church of Jesus Christ of Latter-day Saints for ministering to their mother. Visitation will be held Saturday, March 30, 2019, 10:00-10:30 AM at Brigham City 4th Ward Chapel, Church of Jesus Christ of Latter-day Saints, 25 N 300 E, Brigham City, Utah 84302. Funeral services will follow Saturday, 11:00 AM at the Brigham City 4th Ward Chapel. Interment will follow at the Brigham City Cemetery. Illinois arrangements by Friedrich-Jones Funeral Home & Cremation Services, 44 S. Mill St., Naperville, IL 60540. To send flowers or a remembrance gift to the family of Jeanne F. Zundel, please visit our Tribute Store. "Email Address" would like to share the life celebration of Jeanne F. Zundel. Click on the "link" to go to share a favorite memory or leave a condolence message for the family.